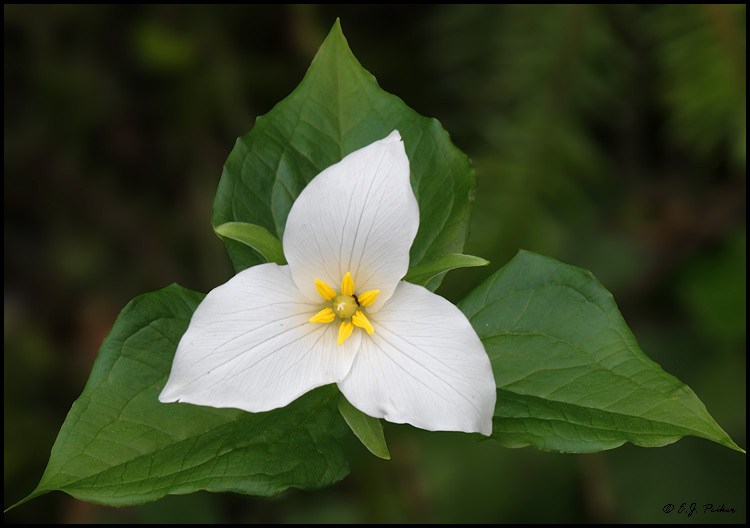 Trilliums and Trinity – Sunday May 22, 10:30 a.m. I have been raised in the wisdom that it is with the Victoria Day weekend that it is safe to plant our gardens without fear of frost. 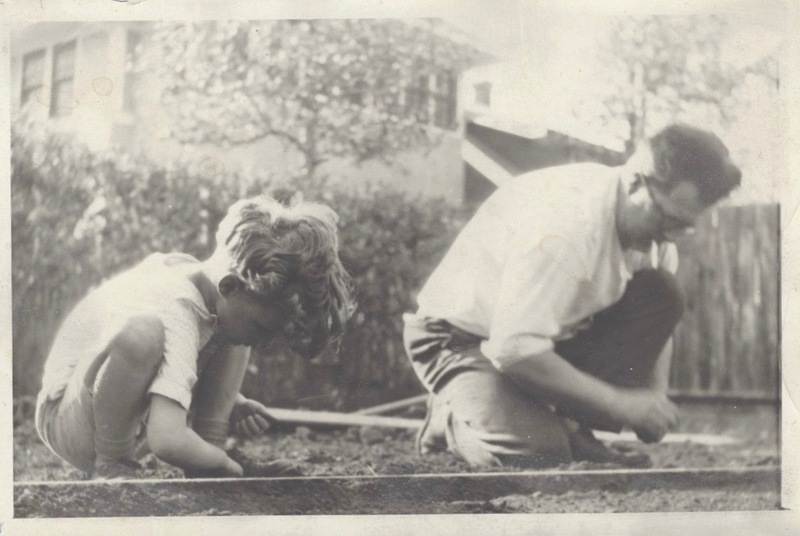 This photo is one I treasure – it is of my father being instructed by his father in the ways of sowing a vegetable garden, much as my father would later instruct my brother, sister and me. It will be fun to sing that great hymn together, usually reserved for harvest time – ‘We plough the fields and scatter the good seed on the ground, but it is fed and watered by God’s almighty hand’. This Sunday is not only part of the ‘May Long’ but is also ‘Trinity Sunday’, and it is a wonderful opportunity to celebrate not only our provincial flower but also the very character of God, the Three-In-One. One of the formative books of my first years in ordained ministry was Jurgen Moltmann’s The Trinity and the Kingdom of God, with an insight that the doctrine of the Trinity helps us understand God as a community of life and love – Father, Son and Holy Spirit; the Lover, the Beloved and the Love itself between them and spilling forth from them. Picking up the story of Pentecost, I recognize that among the great spectrum of the Spirit’s continuing work, it is the creation of community that is perhaps the most meaningful. Living in community as the Church not only brings us closer into the Divine Community, but becomes a gift to share and work in the world beyond. Join us in the worship of the triune God and in Christian community this Sunday! There is a nursery for infants and a programme for young children during the service. There is free parking along the streets around and in the city lot just behind the church off Queen Street. And have an advance peek at the Sunday bulletin … you might even start humming a couple of the hymns in advance!